Established in 1948, Elwell Fruit Farm is a small family-run business growing top fruits on approximately 21 hectares of land near Bridport in West Dorset. William Jackson took over the running of the business from his late father. He obtained a degree in Horticulture from Bath University and then spent 5 years gaining practical experience working on large fruit farms in Kent and Suffolk before returning to join the family business in 1986. Traditionally the farm’s mainstay was Cox apples with some Bramley, Egremont Russet and Conference pears. 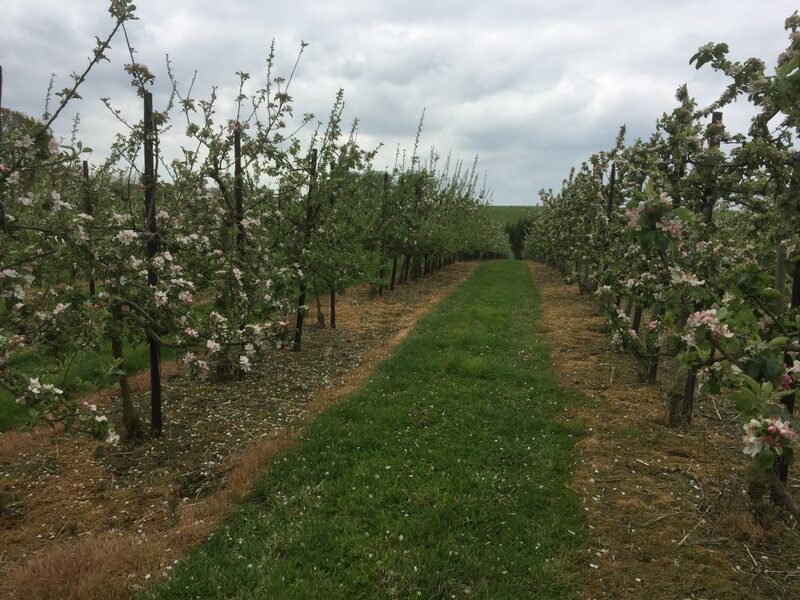 In recent years other mainstream varieties have been planted including Gala, Braeburn and Junami most of which have been sold through Wye Fruit Ltd since the farm joined in 1999. A small area of the farm has been planted up with a number of heritage varieties which are sold locally to small, independent outlets and directly to the public at farmers’ markets in nearby towns.